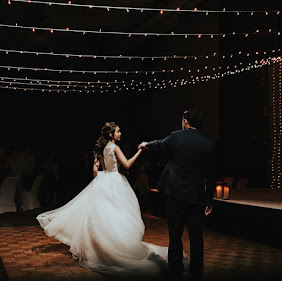 Bridestory is an inspiring and resourceful online global wedding marketplace that connects engaged couples with wedding professionals around the world. We are only 9 months away from our wedding and the Bridestory mobile app (So easily accessible, I can view the app anytime, anywhere) will be all we need in the planning, let me tell you why! Bridestory features unlimited inspirations of vendor's works that we can save in our personal mood board and use for reference. To add an image to your mood board, simply click on the round "add to" button on the top right hand corner. It is extremely easy to navigate around the app. Here is a glance at my mood board for Wedding Decor & Florals. No prizes for guessing the colour theme I'm going for, haha! My favourite category of the Bridestory app is "Real Weddings" where articles of recent weddings are shared. Its so fun to read and get inspired! There are also many articles you may find relevant to your wedding such as "Honeymoon" and I promise they are very interesting reads. Thousands of vendors can easily be found & filtered based on categories, budgets and cities. This makes it extremely convenient to find the right wedding vendors perfect for your wedding. For instance, under the hair & make-up section, you'll be able to find a list of various vendors and their featured projects so you can easily see and filter out what suits your needs. And if you click into a profile, you'll find a more detailed description with price list etc. If you have any queries, you can even send them a direct message via the mobile app which is super fuss-free and convenient! The app is completely free so all bride-to-bes can simply register yourselves as a user on the app and enjoy all the features!